The legacy of the Vikings still lives in Scandinavia, not least thanks to the Icelandic saga texts. One quote that is still used in Norwegian vernacular is “to stand convenient for hewing”, but few know where the expression comes from. In the Saga of the Sworn Brothers (Old Norse: Fóstbrœðra saga), written down in Iceland in the early 1200s AD, it is told about the exploits of the two sworn brothers Torgeir Hávarsson and Tormod Bersasson in the early 11th century. After Torgeir was convicted outlaw, he went to Norway where he became King Olaf Haraldsson’s hirdman (personal guard) and assassin. 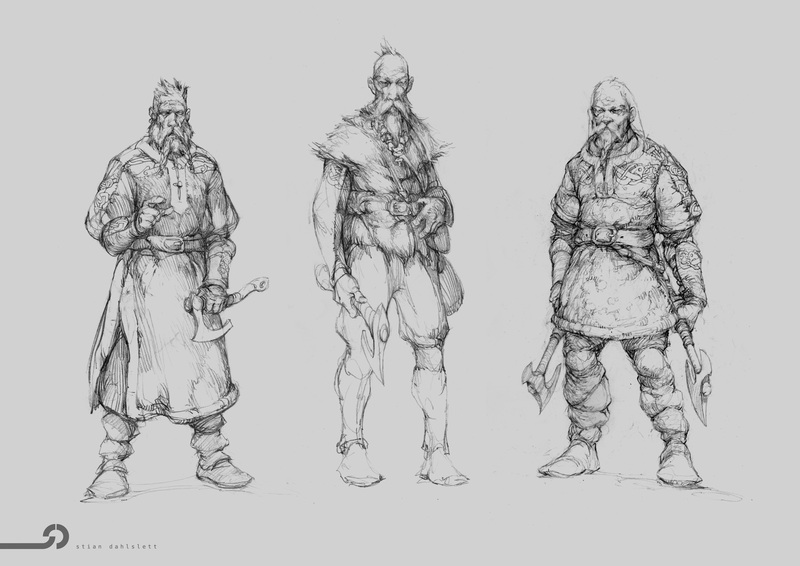 Because of his murders Torgeir got many enemies, and in year 1023 after a heroic battle, he was overpowered and killed by a gang led by the Greenlandic Viking Torgrim Trolle. The murderers kept Torgeir’s head as a trophy, but when it after some time began to look ugly they got afraid and buried it. The rest of the Saga of the Sworn Brothers is about Tormod’s dreadful revenge. ‹ The Guardian: Norway’s New Passport – Already a Design Classic? Ah I think the TV Show “Vikings” (Season 3, Episode 2) had something similar. Rollo, Ragnar’s brother, got up unexpectedly, walked up to a prisoner of war, and chopped at his leg with an axe. When asked why? “It was just the angle of the leg. Couldn’t help myself.” He *was* taking mind altering substances tho.